Wire stripping machines are often used by electricians when they need to repair a wire (Source). Wire stripping machines also have more heavy-duty applications for scrapping and recycling copper wire and romex cables like the Steel Dragon Tools (SDT) auto wire stripper (Source). The hydraulic wire strippers that we review below come in different shapes and sizes, though they are typically assembled from steel and include serrated teeth that are excellent for wire stripping. The 70 lb., bench-mountable, SDT wire stripper is a more commercial option, typically used by scrap metal recycling yards, demolition companies, contractors or professional electricians. 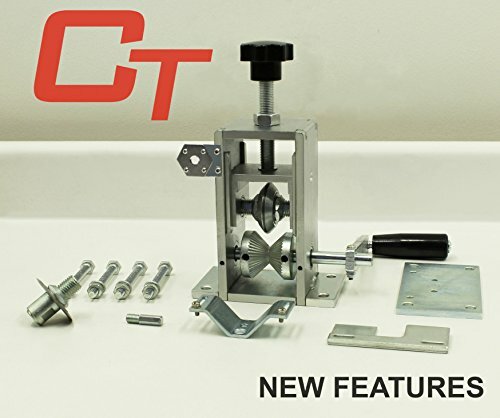 It features 4 different cutting channels, adjustable tension functionality, a Romex cutting slot, and its users all seem to describe it as an excellent investment with one user reporting having stripped all of a 55 gallon drum of wire from a number 14 all the way down to a number 8. There are handheld automatic and hydraulic wire stripping machines available too- like the pocket-sized, 3.5 oz. Copper Mine Tools handheld wire stripper tool. 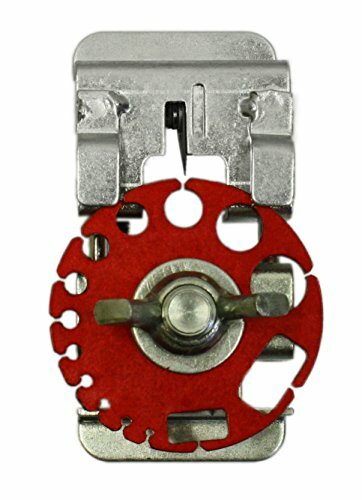 It ships with one replaceable blade and can strip from 24 AWG to 0 AWG, with users saying that it is best to use with short wire sections that are around 1.5 meters long or less- also saying that you need to be careful with the tip of the blade when wire stripping because it will break off if you are not too practiced using it. Let's take a look at five of the best-selling wire stripping tools on the market today and see how they compare. The StripMeister Automatic Wire Stripping Machine is a capable and easy to use stripping machine that most users have praised for its ability to strip large quantities of wire at a fast rate, ability to process 14 gauge wire to 250 MCM and braided wire, and capacity to be used by users of all experience levels. Although some users have noted the cutter can dull quickly, this automatic wire stripping machine has been found to be an effective tool for stripping large quantities of wire. Most users of the Stripmeister wire stripping machine have experienced greatly improved stripping time with the Stripmeister. For example, one user commented on how he stripped 400 pounds of copper in under three hours. Another user noted stripping wire with the Stripmesiter takes about one-fifth of the time to strip 10 pounds of wire compared to doing it by hand, due to the built-in Romex slot. Although some users had difficulty with the setup and the cutter becoming dull, all in all, the Stripmeister stripping machine is a fast and effective tool for those looking to strip wire quickly. The Handheld Copper Wire Stripper Tool is a decent option for those looking for an inexpensive stripping tool for smaller jobs. 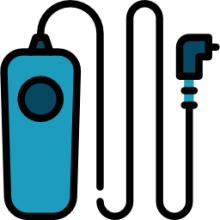 Most users of the handheld copper stripper tool like the tool for its low cost and smaller size while still retaining the ability to strip all types of Romex, cords, and coax cable. On the other hand, some users have complained that the handheld wire stripper can be difficult to use. All in all, those looking for an inexpensive option to strip wire find this tool to be effective at a decent price. Users of the handheld copper wire stripper tool like the fact that this small tool is still capable of stripping wire from 24 AWG and comes with a premium blade that is small enough to fit in your pocket. Although a bit of work is required to get used to using this handheld stripper most users like the performance for the price. Some, however, find it too difficult to get used to and find it ineffective for older wire or insulation stripping. All in all, the handheld stripper tool is a decent option for the money but may require some patience on the part of its users. The Manual Copper Wire Stripping Machine is a solid performer for those looking to increase their wire stripping production without having to invest in more expensive equipment. 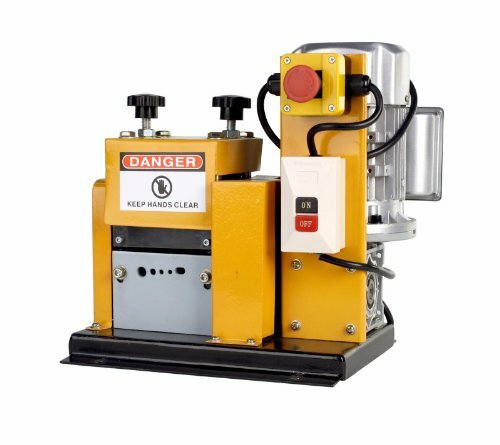 Most users, like the solid construction of the manual stripping machine and the versatility due to an add-on adapter which provides additional methods for stripping wires. Other users found the manual stripping machine to be difficult to set up; still, the manual copper wire stripping machine is an economical choice for those willing to invest a bit of time learning how to use it to its best capacity. 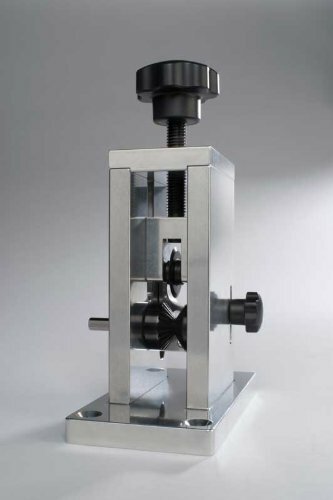 Most users liked the manual copper wire stripping machine because of its fit and finish and effectiveness. One user commented on the stability of the thick steel frame and sheet metal cover. Another user praised the manual stripping machine’s ability to separate copper from the jacket while pulling the wire through the machine all at the same time. Other users, however, noted the long time required to learn how to properly set and up and use the machine most effectively. In general, the manual copper wire stripping machine is effective for most users that can take the time to learn how to best use the machine. The SDT WRA20 Automatic wire stripping machine is an excellent option for professionals or serious hobbyists that want a high-quality and versatile wire stripping machine. Most users praised the SDT WRA20 for its ability to automatically feed and split insulation quickly, steel construction, and its four cutting channels. The only minor complaints were due to minor damage likely suffered during shipping. All in all, this is a high-quality serious machine for demanding professionals and hobbyists. Most users of the SDT Automatic stripping machine recognized the machine for its heavy duty construction and versatility. One user commented that the machine works better than advertised and is a tool every electrician should own. Another user said he was amazed he was able to strip an entire 55-gallon drum of wire quickly from number 14 to number 8. In general, the SDT is a top notch product. 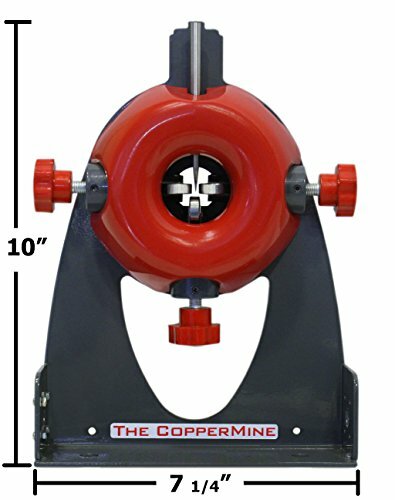 The Coppermine manual crank and drill operated copper wire stripping machine is a solid tool for professionals and hobbyists looking for an effective and easy to use machine to quickly strip wire. Most users liked the adjustable wire clamps, versatile mounting methods, and quick blade change. A limited number of users found the CopperMine to be slower than expected and difficult to use at times. Still, most users agree that the CopperMine Manual Crank and Drill stripping machine is an effective addition for any wire stripping professional. Most users of the Coppermine manual crank and drill operated copper wire stripping machine praised it for its ability to clamp down wire with different sizes and it’s quick blade change which both contribute to the ability to allow for better wire position as it is fed through the cutter. One user found it easy to get the depth right when attached to a drill and that the hand crank works great and allows for better control of the wire position. Still, other users found the processing takes longer than it should with this machine. All considered, users agree that this is a solid tool for anyone looking to strip a large amount of wire. There are lots of different sorts of wires that use hydraulic automatic wire strippers can strip. Examples of its use include home speaker wiring systems, the wires contained in high-tech electronic toys, recycling copper, romex cord and coax stripping, braided wires and more. These wires, as we have seen, can be constituted from different materials like copper and aluminum or even something like fiber-optic cable materials. While electricians are the ones who most commonly use wire strippers, hydraulic and automatic wire stripping machines are also used by professionals in other fields including service people that install stereo systems, upgrade your cable and repaired your satellite dish systems, as well as for the general home handyman who requires a pair of high-quality wire stripping machines for home-improvement and repair projects.